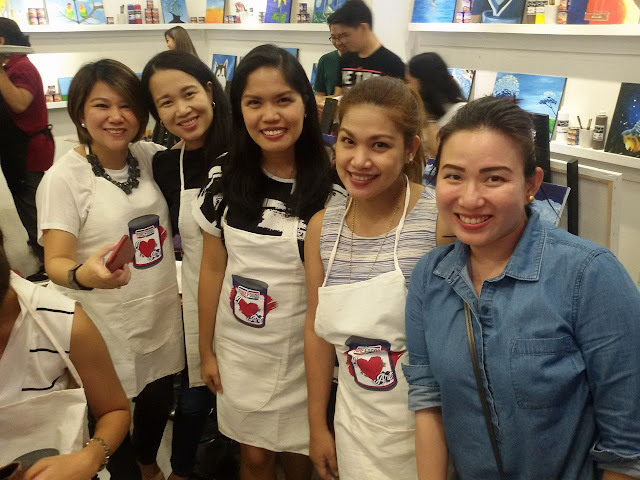 A few weeks ago, I had the opportunity to relive my artistic side when I attended the Purefoods Blue Line #IHeartArt event at Sip and Goh in Kapitolyo, Pasig City. 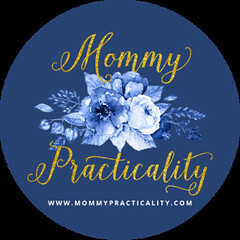 I took that event as a short escape from my usual house routine even if I brought my baby with me. Having a different and stimulating environment for me is already enough to be energized and I'm really thankful. I was even brought down memory lane so the whole afternoon was a nostalgic moment for me. In fact, there are two childhood memories I remembered being present in that event. First, let me share with you highlights of that memorable day. Other blogger friends in attendance were Lilian, Vivian, Camille, and Michelle. After a plateful of finger foods cooked with Purefoods Blue Line products, I'm ready to start painting. 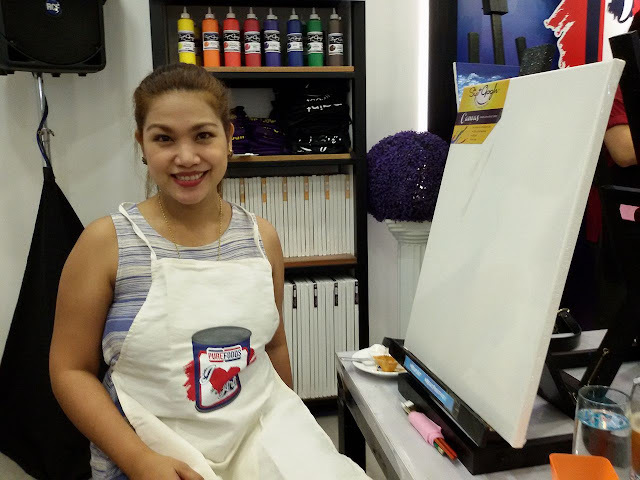 Paint, paint brushes, and yes Purefoods products were all over the place! Other participants are also ready to start painting. 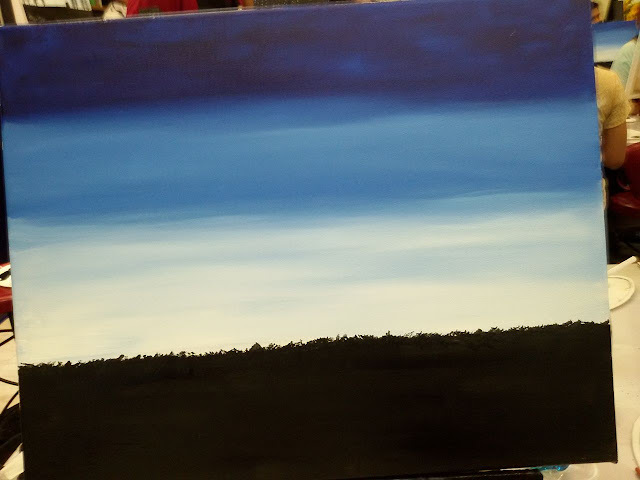 My canvass started like this, block of colors blue, white, and black. 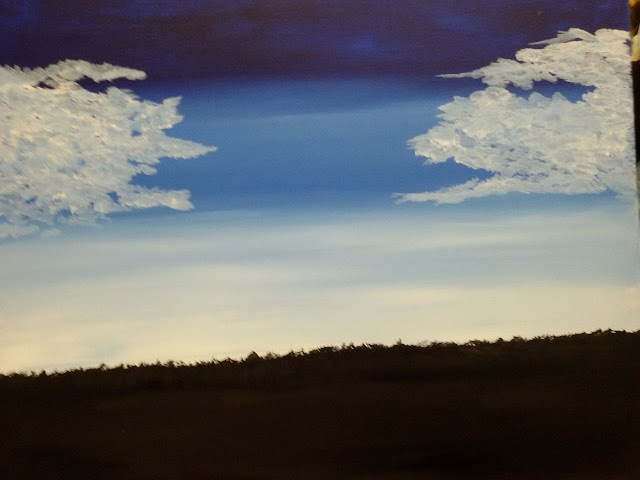 What looked like an empty space now has a story, clouds were painted on the upper sides. 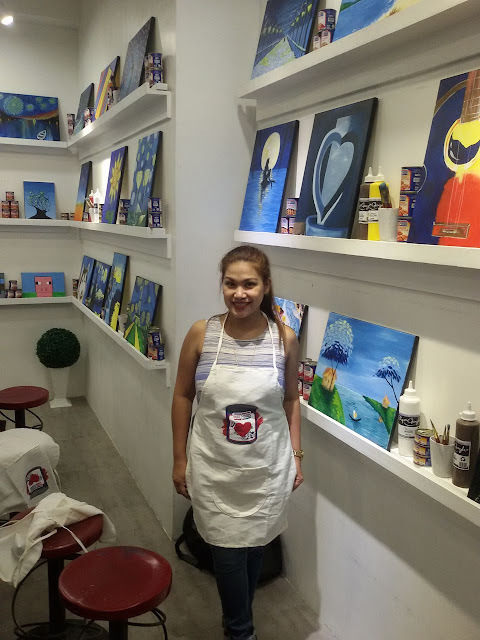 A canvass in progress, and guess who's under the nursing cover, painting with me? Let me take a snack break before I continue painting. 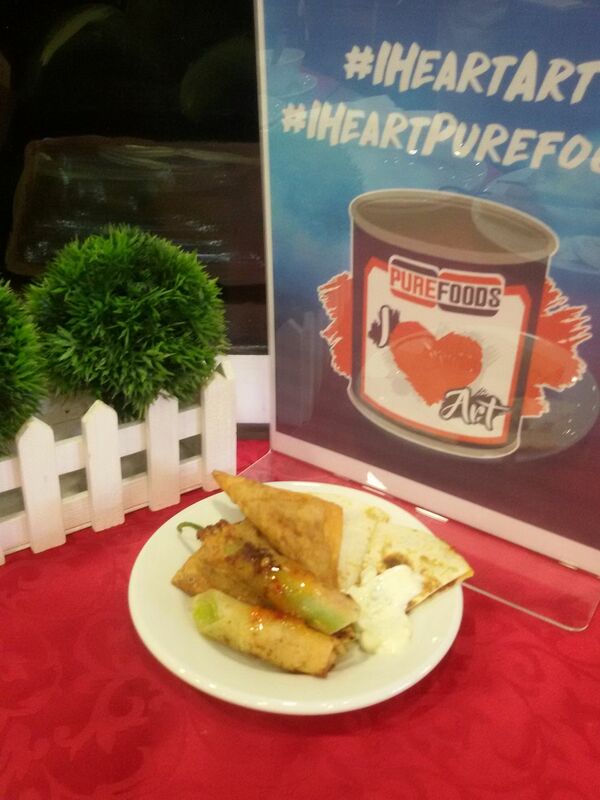 These yummy pica-pica were all made with Purefoods line of products! So delish! 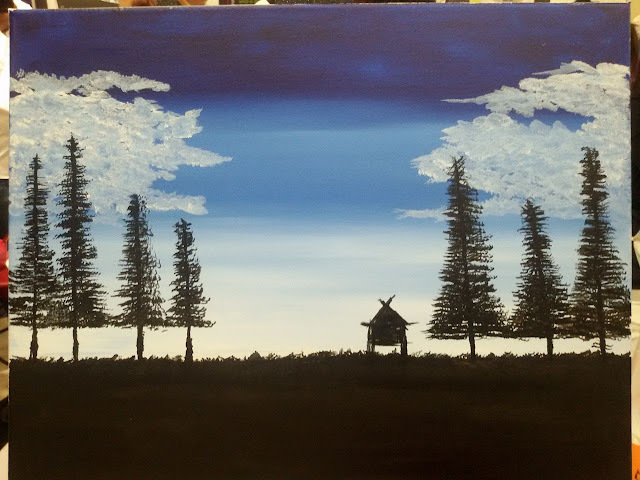 The next element we painted were the trees. Lastly, I painted a bahay kubo, a reminiscent figure or drawing of my childhood. This is one of the first things I learned how to draw, taught by my late mom. Me with my almost done painting. And my baby's still feeding, I think he fed all throughout the session. 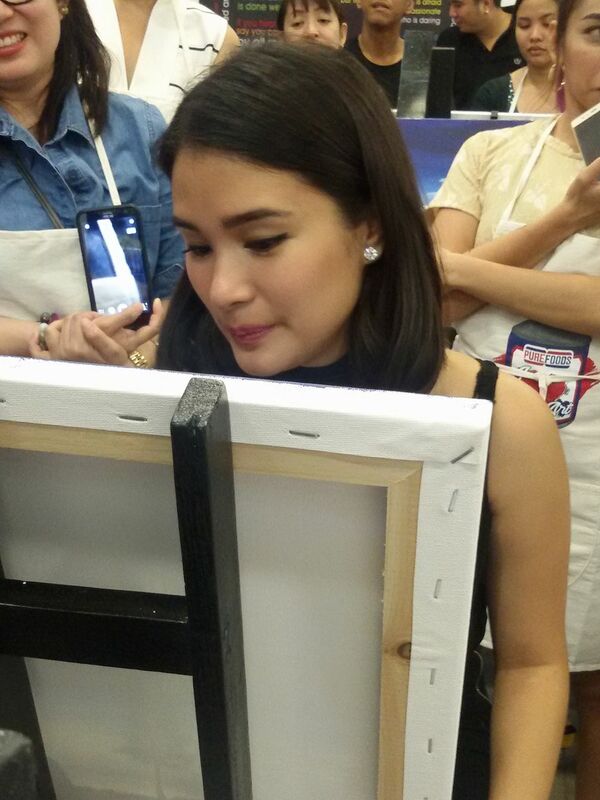 The surprise of the day, Ms. Heart Evangelista-Escudero graced the #IHeartArt event! She even helped Camille finish or personalize her masterpiece! She's so talented! She sat right across me and baby, so I just stared at her simple and elegant beauty while she paints. 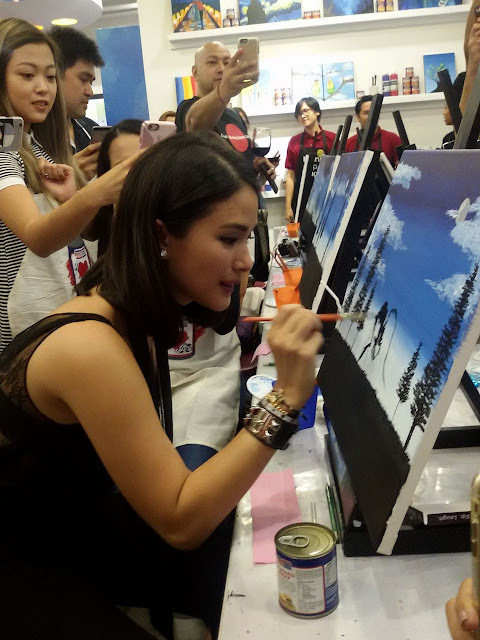 THE Ms. Heart Evangelista-Escudero doing what she's best at! While she's at work, everyone was just watching her and taking photos of her and her work. A class picture with Ms. Heart Evangelista-Escudero to happily end the event. That looked so much fun right? Indeed it was! Like I mentioned earlier, the event became a nostalgic moment for me. 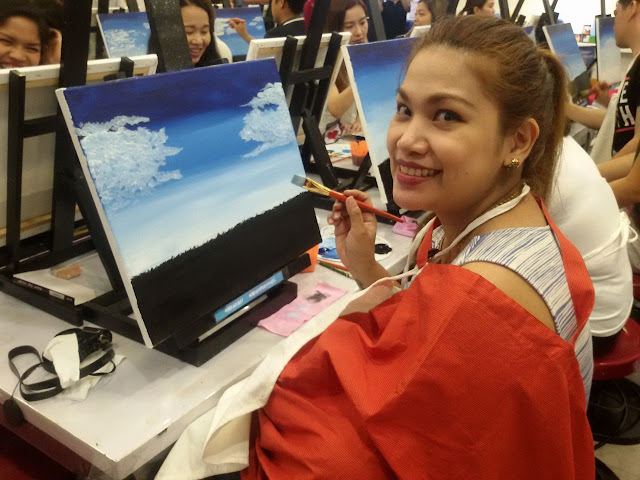 I remember when I was a lot younger, my mom enrolled me in a summer painting lessons held at the National Museum. We would go together and sit on the grass. I was encouraged to draw anything I see around me and paint it afterwards. My mom was the wind beneath my wings. She cheered on me at every masterpiece I accomplished for each day in that class. I was the youngest in that batch and my painting of the Manila City Hall won an award. I painted the building grey and the clouds pink, because that's how I saw the world that time. Pink for my happiness, innocence, for being dainty, for gentleness, and appreciation of what I had that time. It was for my mom, I painted for her. 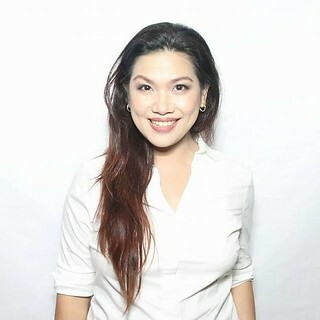 What made the event more nostalgic was, I remember how she used to cook one of my favorite breakfast meals, Purefoods Corned Beef with potatoes and white rice. Breakfast was special in our home. It was always heavy and a busy time before going to school. 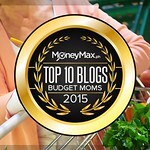 Since I became a mom myself, my kids also never leave the house without having a heavy breakfast. 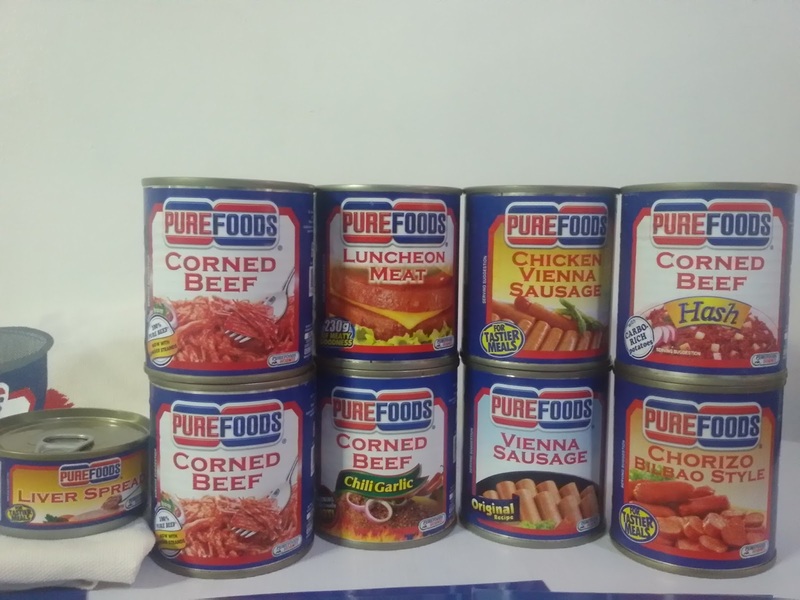 They also took after me their love for Purefoods Corned Beef! It's like passing on a tradition of homey comfort from my mom to my kids, and hopefully, they also remember me how I remembered my mom, who by the way passed away 2 years ago. I sometimes think if my kids will remember me as how I remembered my mom, one who cooked my favorite breakfast, of course Purefoods Corned Beef. If you ask me, I want them to remember as a mom who did everything she can to show her love and support, who was a strong woman with a soft heart, and one who made coming home, a delightful part of their everyday because of the positive and loving environment and of my home-cooked meals which can be done without sweat with the help of Purefoods Blue Line. Oh, and let me end my post by sharing with you my masterpiece that afternoon with the beautiful, talented, and down-to-earth Ms. Heart Evangelista-Escudero. I wouldn't pass the chance to have my photo and my work taken with Ms. Heart.